Water – No, I’m not talking about free trips to the water fountain. Most people like to bring their own water bottles or just buy them for convenience at the closest stand. However, $3 a water bottle adds up and if you don’t have a cooler, that $3 is wasted on hot water that is not pleasant to drink. 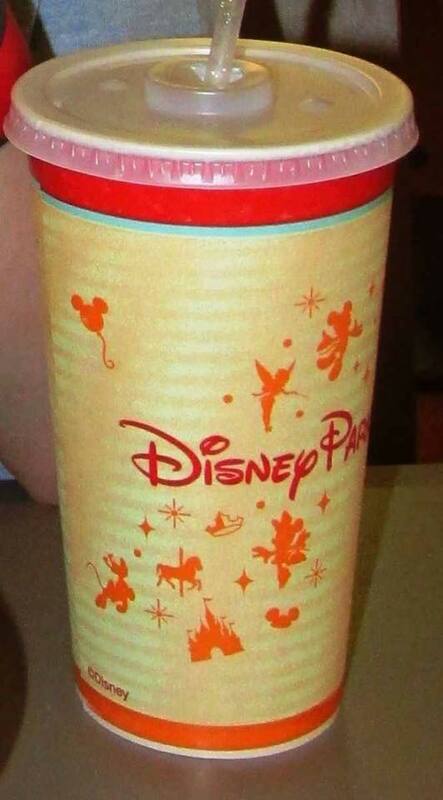 Some Disney goers do not know this, but you can ask for free ice water at any restaurant in the parks. We are not just talking about a small kid cup, most of the time they will give you a medium or a large if you ask. In my opinion, this is well deserved after all the money we are spending on our vacation. Free water is not asking for much. Also, it’s better than bottled water because it’s ice-cold, which is definitely needed in the California or Florida heat. 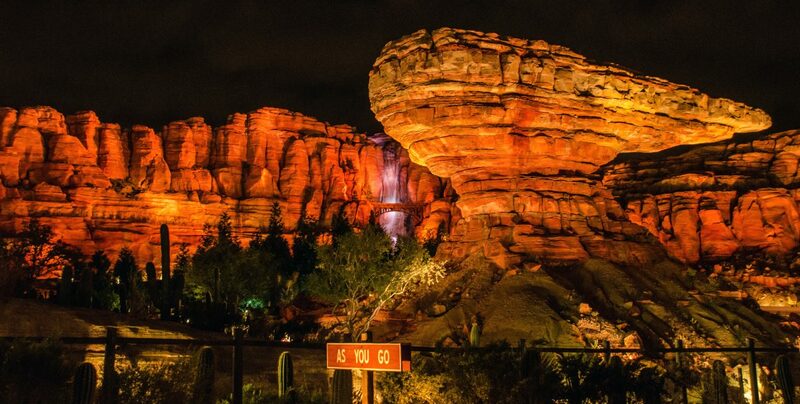 Buttons – If you are celebrating a special occasion, or even if you’re not, the parks provide celebratory memento buttons that are a wonderful free keepsake. 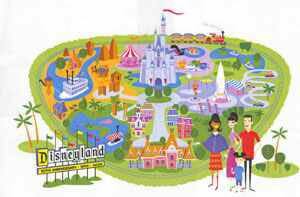 For example, my husband and I have one for our trip on our honeymoon, an anniversary trip, and our daughters first trip to the parks. I always write the date on the back so they will be a special keepsake for our family. You can find these buttons at City Hall at the entrance of both Disneyland and Magic Kingdom as well as shops like the Mad Hatter and The Emporium. Smashed pennies – These technically aren’t “free” but very close to it. 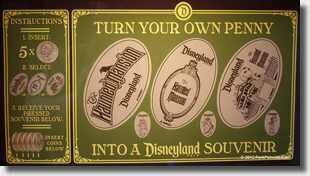 For two quarters and a penny you can receive a unique collectors coin from multiple locations in the parks. Each coin is different from place to place and it is a fun memory and collectible item for kids and even adults. My favorite smashed penny location is at Disneyland in the castle tunnel right before you enter Fantasyland. It is an imprint of Sleeping Beauty’s Castle and holds many fond memories for me and my sisters. Park Maps – I know this may sound silly, but I have been collecting Disney Parks maps since I can remember. I love to see how they change over the years and they are also great for scrap booking. I also put the dates on the maps and highlights of the trip so I can relive the memories later on. These all may not be the most fabulous of free perks, but they are still fun and satisfying to have. With as much money as we put into our trips, I think anything free is a welcomed bonus! Thank you Natalie! It’s the little things that count and bring some of the warmest memories! Glad you enjoyed the read! Thank you Natalie! It is the little things that count and bring some of the warmest memories! Glad you enjoyed the read! Thank you! We’re glad you like it and thanks for commenting! Keep letting us know what you think.